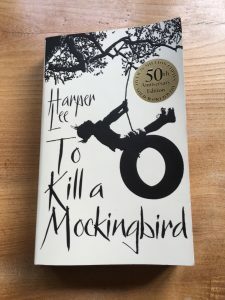 2016 marked the 50th anniversary of this classic American novel, as well as sadly, the death of its author, Harper Lee. It is a book that somehow has passed me by and so I determined to finally read it before the year was up. I was aware of the storyline before I began but not that it is a first person narrative, with the story recounted through the eyes of six year old, Scout Finch and her older brother, Jem. Although set in the Deep South of the 1930s, this tale of prejudice, fear, hypocrisy, honesty, integrity and above all, hope, is a universal one. A truly perfect novel written about an imperfect society that, tragically, resonates as much today as 50 years ago. There is much we can learn from looking at our world through the eyes of our children.